As a paralegal, Jenna Cantarella assisted on commercial real estate financing and securitizations. This experience led her to realize that she could do more and Jenna made the jump to become an attorney. Now, Jenna's practice is concentrated in the area of Public Finance, with a focus on municipalities and school districts. She serves as bond counsel and underwriter's counsel for the issuance of tax-exempt and taxable municipal debt, in order to facilitate a wide variety of public projects and programs for local, state and bi-state issuers, including cities, boroughs, townships, counties, school districts, public authorities, and bi-state agencies. 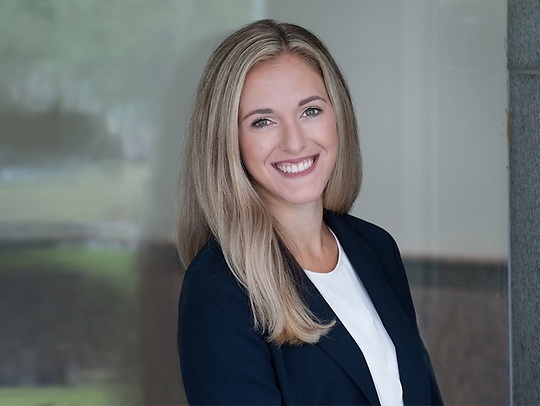 In addition to working as a paralegal, prior to joining Parker McCay Jenna interned for the Honorable Lois H. Goodman in the New Jersey District Court and served as a law clerk for Robert H. Montgomery, III, Esquire, P.C. She has also actively participated in the Volunteer Income Tax Assistance program in Philadelphia, Pennsylvania that helps low-income individuals complete their tax returns. Jenna has traveled extensively to countries including Cuba, Brazil, South Africa and several countries throughout Europe. She lives in Marlton and enjoys doing yoga in her spare time.